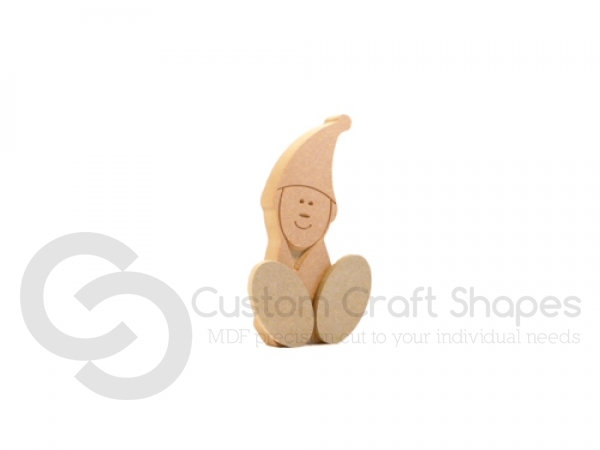 Freestanding Wonky Elf with Engraved Face and 3D Feet. Comes with 2 separate 6mm feet to attach to the Elf. 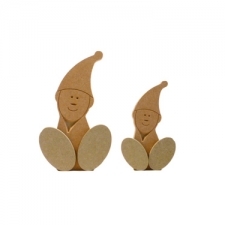 Small Elf is approximately 120mm, large Elf is approximately 160mm high. 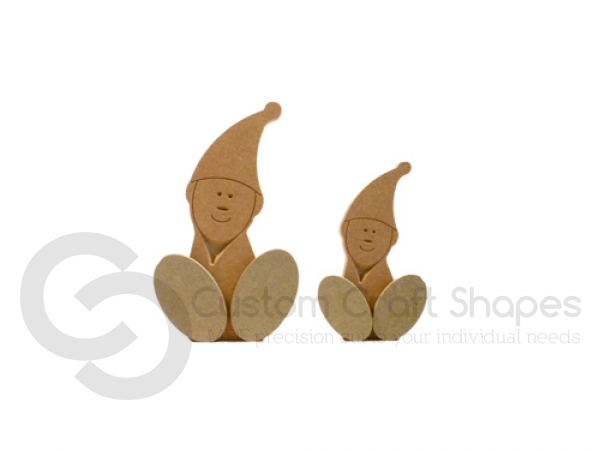 Elf cut from 18mm moisture resistant MDF, feet cut from 6mm moisture resistant MDF. Facial details engraved include; eyes, nose, beard and mouth .